This was an amazing journey. As I wrote to you just a few days ago, this was 280 days that I wouldn’t trade for the world. 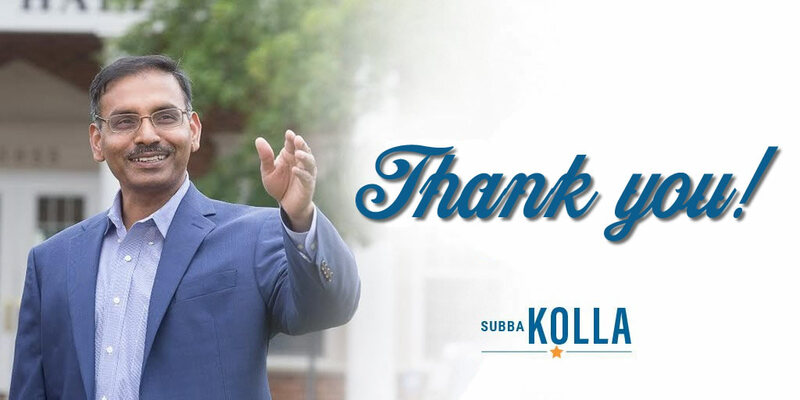 I want to thank all of you who helped me organize, volunteered hours of their time, held meet & greets, contributed critical funds and those who voted for me. This was an historic run; I was trying to become the first Indian American in the House of Delegates and while we came up short I am proud of the campaign we ran, the ideas we expressed and the energy inside our emerging community. We’ve proven Indian Americans will continue to be a force politically and this isn’t the end, as you know, Virginia is blessed with elections every single year! We will take what we’ve build and improve upon it and support our candidates who will appear on our ballot on November 6, 2018. Thank you again for all your support, effort and help.